Miscellaneous Musings: Happy Birthday Sir George! 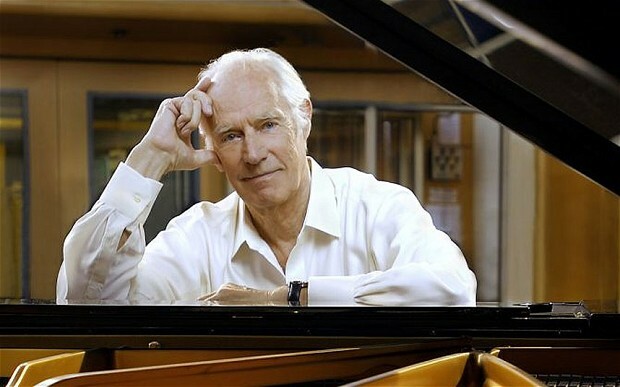 I can't say much, if anything, about record producer Sir George Martin, who turns ninety years old today, that hasn't already been said. Although Phil Spector is famous for his "wall of sound" and Brian Wilson is revered for his impeccable arrangements, Sir George is esteemed for being an innovator in both sound and arrangement, with none of the psychological baggage that haunted his American counterparts. Martin's most famous clients, the Beatles, pretty much learned everything they knew about record production from the master; he was able to brighten their rock and roll sound and suggest new ways to present their music. Soon the Beatles were coming up with new creative ideas left and right, and Sir George had the recording know-how and good taste to make them work. Of course, it isn't just the Beatles Sir George is famous for working with. He also worked with Beatles manager Brian Epstein's other artists, from Billy J. Kramer and the Dakotas to Cilla Black, and he helped make their records some of the most popular and best-sounding discs in the beat music scene. Also, in the seventies, he would work with Jeff Beck (not to mention America, so I won't). He had the knack for making a good record out of a halfway decent song, a great record out of a good song, and . . . well, imagine what he's done with a great song! As it so happened, the Beatles produced plenty of those. After the Beatles split up, they went on to be pretty good producers themselves, much unlike the pop artists of today who "produce" their own records but don't know how to create a memorable or original sound. Alas, there's no craft in most of today's pop music as there was in the 1960s and 1970s, but where there is a sense of craft and care - mostly in indie music, which technically isn't "pop" because it doesn't sell - you still hear the influence of Sir George Martin, happily retired and able to look back on an illustrious career, in the grooves.